British talent agencies have warned that the numbers of dwarfs they have available for hire are low due to an influx in dwarf themed stag parties and hen parties that require their services. The popularity of Snow White and the Seven Dwarfs as a choice of Christmas pantomime, with 16 set to be staged in the UK this Christmas and a new craze for dwarf-themed parties has led to leading talents agencies struggling to meet the demand. Stag-do dwarfs have grown in popularity since JLS member Marvin Humes, 27 was snapped handcuffed to a dwarf on his stag do earlier this year. Les Joseph, director of entertainment agency Chosen Events, said that he has never seen anything like it in his 15 years in the industry. He continued: “Then there’s Halloween, then Christmas, which is usually the busiest time. 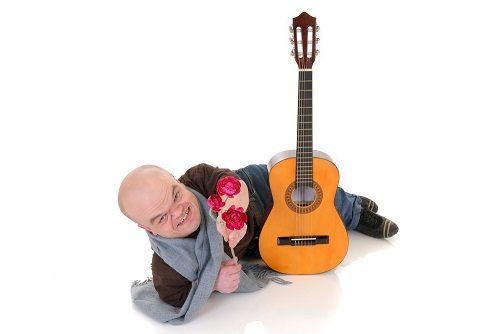 I really could do with more dwarfs.” A sentence I never thought I’d hear anyone utter, let alone write Many dwarfs on talent agencies books are multi-skilled, with many able to offer their magic skills or juggling expertise to the event in question. However, Les said that the majority of people enquiring for stag dos ask if a dwarf will be happy being handcuffed to the stag. Put simply, dwarfs have never been in higher demand. Would you hire one for your stag do? If so, what exactly would you get up to? Would you take him white water rafting in Bratislava, or handcuff the poor man to the stag for a Staturday night at the dogs in Bournemouth?